If it relates to the puroresu scene, rest assured Mathew has something to say. Let’s see where the news about KENTA has taken his thoughts. I’m sure people have heard the news today, former WWE Superstar, Hideo Itami has been granted his release from the WWE. 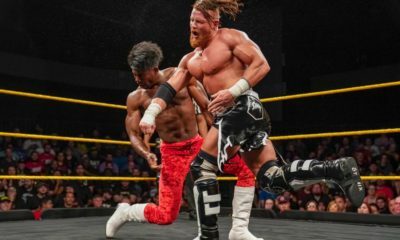 On Tuesday night, he would wrestle his last WWE match against Akira Tozawa and 205 Live, which he lost and was attacked by Ariya Daivari on the way out to give him a send-off. For those that didn’t know about Hideo Itami prior to his WWE debut, he was formally known as KENTA and was known as one of the biggest stars in NOAH (No, not NJPW!) as well as one of the best international wrestlers in the world. In 2014, he would sign a contract with the WWE and KENTA would be now known as Hideo Itami which meant “Hero of Pain” and he would make a big splash in NXT until he got injured in 2015. 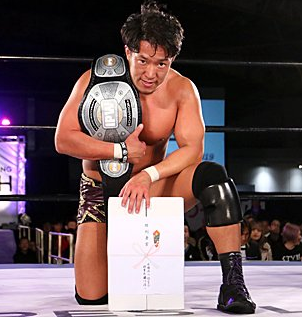 Hideo was originally scheduled to come back in 4-5 months with the surgery but things would get complicated during the recovery process and it put him off the shelf longer until August of 2016. When he made his return to the promotion, it looked like he was going to go back where he started until he would get injured in December of 2016 when he was on the receiving end of a botch Powerslam, leaving him on the shelf for another five months. 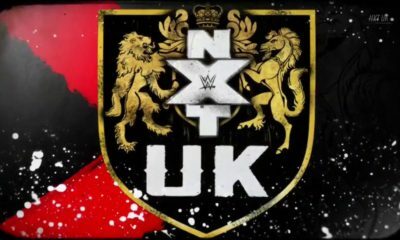 He came back in 2017 for a short run in NXT for a little bit where he lost his big matches and would eventually go to 205 Live to compete in the Cruiserweight division and that is where he would stay for the remainder for his career until now. 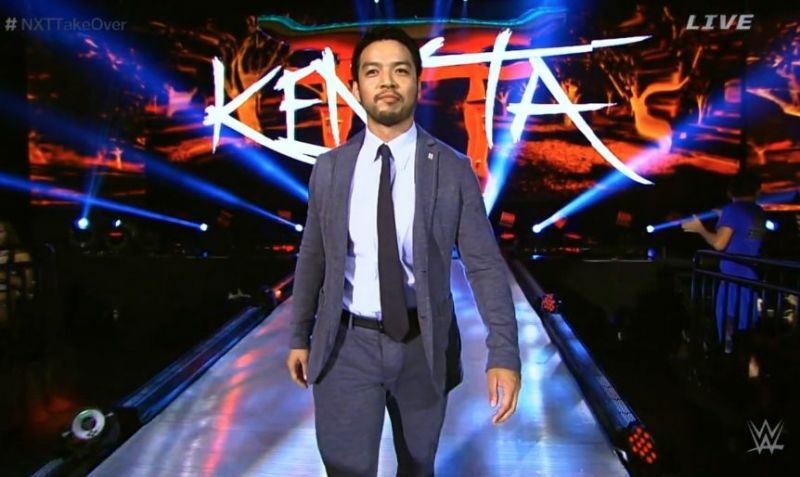 A lot of people had high hopes for KENTA when he made his debut to WWE as he showed a lot of promise, but unfortunately, it was the fact that he had those two big injuries that would derail his push or any momentum he had going into the company. I know people would like to blame the company for every little thing they do but this was just one of those things that sadly happened and didn’t want to see KENTA as a liability for if he were to get injured when he had big plans set up like last time. People got pushed when they came back from injury, so why couldn’t he? Well, it’s because most of the people that did were big names that a lot of people remembered and KENTA would barely scratch the surface before he got injured and while he was gone for half of his time in WWE, they already had numerous people signed who were making an impact in NXT while KENTA was in the background. Another person they blame is Riddick Moss since he was responsible for giving Hideo his second injury or the final nail in his momentum coffin. 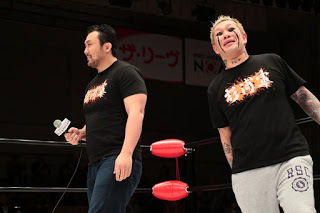 While they can blame the company for letting an inexperienced guy work with a vet like KENTA, however, some veterans do pair off with new people to help them get more experience in the ring and it was just an unfortunate accident and nothing more. It was just a combination of harsh injuries and bad timing that ruined his chances of getting more success than what he would’ve gotten if he came in healthy. If he didn’t get injured, he would’ve had a much more different path with a few titles under his belt and maybe a better chance to show off his skills, but the fans moved on with more names such as Bobby Roode, Drew McIntyre, Aleister Black, Johnny Gargano, Tommaso Ciampa, etc. So I guess you could say that him being released from his contract is probably for the best since it was too little too late to recover and best to cut your losses now before digging a deeper hole. I wish KENTA nothing but the best for his future. Was his run a complete waste? I’m actually gonna have to go with no since, despite the injuries killing all of his buzz, he still had some memorable matches with quite a few people and did try to pick himself back up when he went to 205 Live and had some solid matches there. He also played a big part with having more big names sign over to the WWE as he helped break down that border for people to make that transition as some have made it in the WWE while some didn’t make it, much like most companies. He did take part in Wrestlemania despite it being in the Battle Royal, he still was apart of the card and performed in a big crowd. Despite getting the short end of the stick, he helped open the door for others to make that chance and that’s something we can’t take away. That’s the big question people are wondering as he does have 90 days until he can compete anywhere right now and where would he end up as he does have quite a few possibilities. 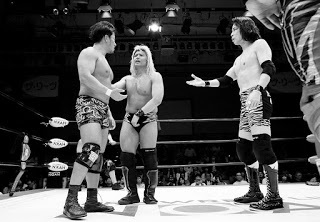 One of the obvious choices would be to make his return to NOAH since that was where he made his mark in the wrestling world and I’m sure they would love to have him back, especially since the promotion is currently under new management since Masayuki Uchida is stepping down at the end of the month. Plus, KENTA could use a reboot there with some new competition to help put NOAH back on the map, plus he versus Kaito Kiyomiya sounds like an amazing match to me. 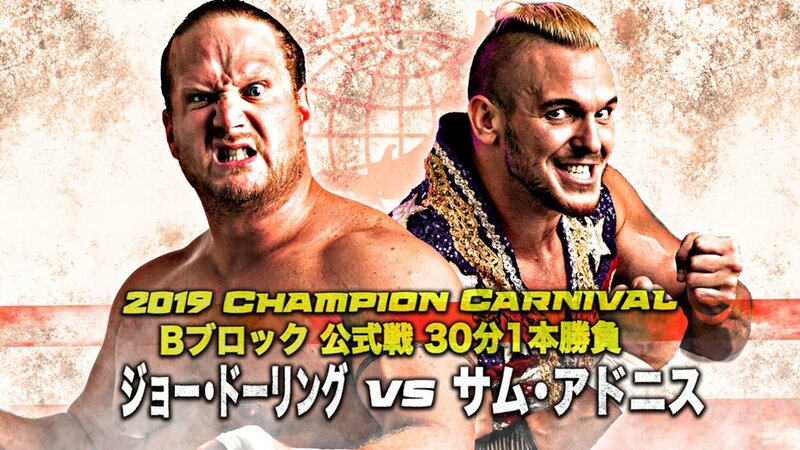 Another possible thing he could do is go to All Japan Pro Wrestling where he actually made his official debut in 2000, so he could so there for a change of scenery and could have amazing matches there with Kento, Zeus, Suwama, Doering, Shuji. 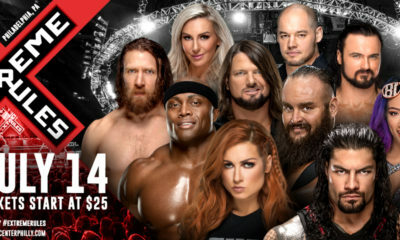 KENTA would be a big name the company would need to help out with ticket sales and again, a new fresh chapter of his career. And of course, people want to see him make his official debut with New Japan Pro Wrestling but my main concern with that is that NJPW is too stacked right now that I’m not sure if he’d get lost in the shuffle or just be apart of their junior division. There is a plus with him joining NJPW though due to the partnership with ROH as I’m sure most fans would love to see him have a few matches there as he did before. One thing I don’t see him doing at this point is going to AEW or Impact since I’m sure he’s more homesick than anything and would wanna go back home to Japan, which I don’t blame him for at all. Another option could be that he would wanna be a Freelancer and just wrestle for a bunch of promotions around the world that could build up some exciting dream matches in the end, but the most important thing for him right now is to take these 90 days to be healthy and focus on getting ready for his much-anticipated return. However you feel about how his WWE run came down, it was nice to see him try and take a chance to do something new even if it didn’t work out fully in his favor and fans will now see him do more with his career before he eventually hangs it up. I wish KENTA nothing but the best in his future endeavors and thank you for what you did for WWE. 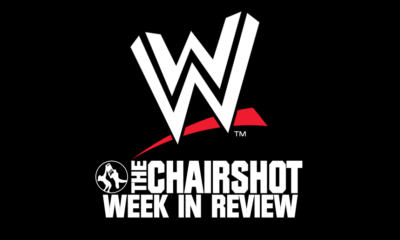 Farewell, Hideo Itami and welcome back, KENTA.